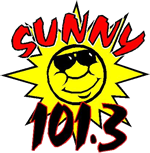 Jeff Nichols, host of the Sunny 101.3 morning show, was born and raised in Hiawatha, Ks. He left Hiawatha in 1969 and worked for the old Frontier Airlines and American Airlines until 2000. He then came back to Hiawatha and ran the Country Club for two years and began working part time for KNZA Inc. in 2001. 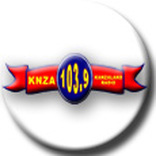 He has done just about everything at KNZA and was given the Sunny Morning Show about six years ago. Jeff Said, “Have always loved all kinds of music so I really like the variety Sunny plays”. His mother lives in Hiawatha and he also has a younger sister in Lawrence, Ks. His hobbies include golf and boating and he likes all kinds of sports.